In our school, this is the season of report cards. It seems as though, for staff, that they have been in process for about a month. In just a couple of days students and their parents will open the envelopes of doom the assessments of work, behavior and effort. There will be praises and punishments resulting from these pieces of paper. There will be triumphant cries, and tears. There will be rewards and removals of privileges. 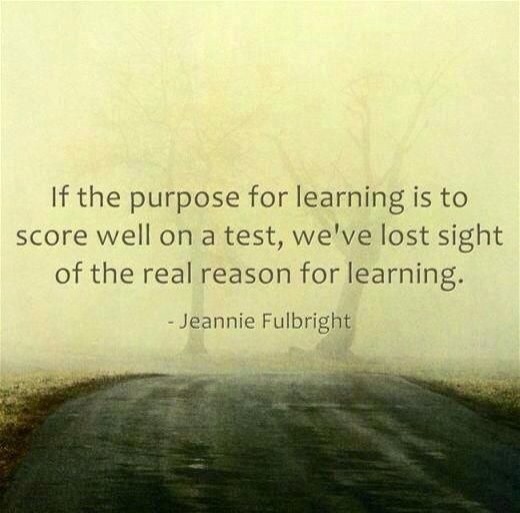 do the report cards report on learning? That is the question of the day, within the hallowed halls of educational places all over. The traditional methods of assessing learning are being looked at from every angle. As with many traditional practices in a variety of areas of life, what is done because it has always been done that way, assessment is being evaluated. The mark often represents how the student has done on tests, homework and assignments. The comment can be quite subjective, reflecting the relationship between the student and teacher, as well as the observations of the teacher. These are okay assessments … not all bad. They are not, though, complete indicators of learning. Oh sure, there are a few educators who are just in it for the money (insert extreme laughter here), the long summer breaks or who simply got into the wrong profession. But those are the rare exception, not the norm. The desire of the educator, who is called to their work. is not that a piece of paper, handed out two or three times a year, define a student. The greatest desire is that each student learn. That each student succeed, in some way (maybe not even academically), in their life. That each student know what their passion is, and how to make it their life’s work. 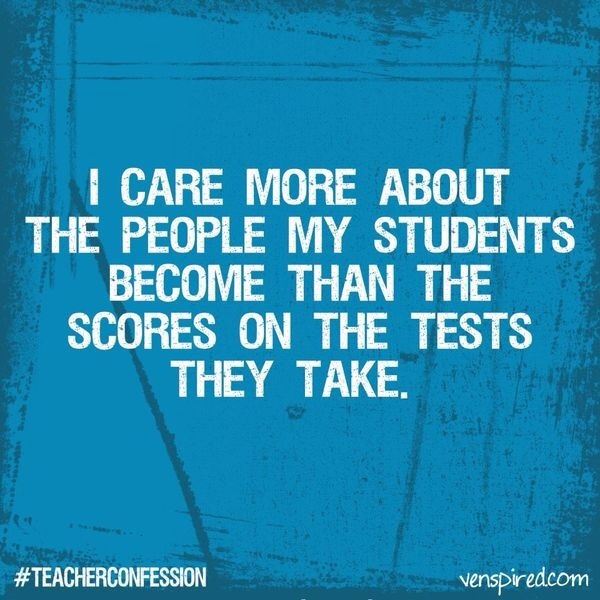 Truly gifted and called educators care more about who the student becomes, rather than what the report card assesses. The idea of being sequestered was central to how I spent this past Saturday. 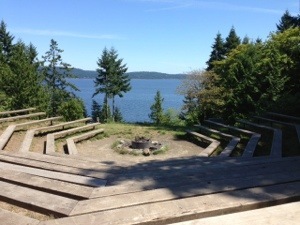 Our daughter is off at a Christian camp, but she is not a camper this time, she is a C. I. T. (counselor in training). I knew it would be good when she will filling out all of the paperwork necessary for her application into the C. I. T. program. There was the standard application forms to fill in, along with medical forms, activity checklist, three written references, a statement of faith questionnaire, as well as a telephone interview. She got the nod that she was accepted, followed by a weekend of service to the camp in early June, from which she returned with more paperwork to fill out, as well as assignments and devotionals to complete before she returned at the end of June, for two weeks of study and learning, followed by an exam, then a week of assisting in the cabins. If all goes well she will return in August for a week of having her very own cabin of kids to oversee (with assistance). All last week I received notes requesting that I come to visit her at the camp. With each note I had felt as though I could see her grow, much like an adolescent growing taller during a growth spurt. But this growth was not in height, it was growth and development in her understanding and knowledge of the Bible. Upon seeing her and hearing of her first week at camp, I realized that, although this sort of growth was possible in any time and place, it was especially significant when it was part of a time of seclusion, separation, sequestering. She had times of learning, times of prayer, times of worship, times of study, incorporated as priorities in her daily schedule. She did not have to ‘squeeze’ these important practices into her days, they were part of the framework, part of the foundation of her daily schedule so that it would be accomplished. I am eager to see how this learning opens her eyes to all that God has for her, to all that He has planned for her life. May we all have, and take, the opportunity to be sequestered, if just for a day, to be transformed. I think that our inner compulsion is to run from it. That gives us complete separation, and immediate relief. But does running from it have positive, long-lasting results? I do not know for sure that answer, but I tend to think it might chase us, and when we least expect it, re-surface again. Then there is learning from it. Oh, how slow that process seems, and painful for to learn is to look at the pain and face it. But could more, long lasting good come from that process? I do not know for sure that answer, but I tend to think it is the better way. There is a man in the Bible, of whom little is known, but one thing we do know is that he did not run from his past. This man is Jabez. His one entry in the Bible is in the Old Testament book of 1 Chronicles. He shares his name also with a town near Bethlehem, but I am not sure if the town was named after him. “Jabez was more honorable than his brothers. Jabez was named by his mother, and I would guess that would not have been the norm, in such a patriarchal society. Now either his birth was horrific, or the timing of his birth was, or something else dreadful must have accompanied his entry into the world for his mother to have named him as she did. The name Jabez is Hebrew, and it means sorrowful or pain. In those days, and within that Hebrew culture, a name was almost a prophetic statement, or a foundation for who this baby was to become. Andpas his mother saw his future as sorrowful or painful. He had a choice, run from it, or learn from it. Well, it would appear that he did not run from it, heck, he didn’t even change his name, nor did God as He had of others in the Bible (Abraham, Sarah, Paul, etc.). His prayer was for a future complete with a relationship with the God of Israel, complete with blessing (perhaps the blessing he did not get from his parents), complete with God’s protection, complete with freedom from … pain. The prayer of Jabez is the desperate cry of a man born with a curse, with a past, and he knew it well. But, he also knew that he did not have to stay in his sorrowful state, and he knew the only one who would hear his cry … the God of Israel. to change the direction of our lives. Last week I published a post called Tricks and Old Dogs. In it I wrote of my love of talking, and of a recent realization that when I felt as though I was not being listened to, I stopped talking, I stopped communicating. I also wrote of how I was planning on working on that personal response from a self-improvement context. Since then I have encountered a certain passage in the Bible … twice, and I am starting to think that there is something in it for me. The day after publishing that post, I read a post of a fellow blogger, which featured Ecclesiastes 3:1-15 (he is a great writer and thinker, and his posts are worth checking out). The blogger focused on how the scripture emphasized the need and reliance for balance. That the reality of the seasons of the year, and of life required a concentration of the balance that they provide in our existence. For instance seeds are planted in the spring, and the harvest is gathered in the autumn, because that is what makes for the best growth of plants. We can laugh anytime, but to laugh after a season of weeping makes the laughing all the sweeter. Then, at our staff devotions, a teacher read the same scripture. This time, as it was being read, I ‘heard’ the message that was in it for me. Verse 7 states, “(there is a time for everything, and a season for every activity under the heavens:) a time to be silent and a time to speak.” When the words settled in my ears, I realized that maybe I had been silent for a reason that came, not from weakness, but from a holy, seasonal balance. Maybe this was my time to be silent? Maybe, just maybe, my silence was not simply born out of weakness, nor the result of inappropriate responding to individuals or situations. Maybe, my tongue has been silenced because it is not my season to speak? Maybe, at this time, saying nothing is the healthiest, the most wise route to take? Maybe keeping quiet at this time is not about forfeiting my ability to express myself, but about taking the time to listen, and providing the opportunities for others to practice a season of speaking? Maybe, my silence is a holy protection, that I need to embrace, and not fight against? I am still determined to learn through this experience. I just might try learning from the silence.